HOLLYWOOD — As an infant, Star Nayea was taken from her home in Canada and adopted by a white family in Detroit, Michigan under the Indian Adoption Project, a controversial federal program that placed Native children into adoptive homes from 1958 to 1967. She suffered years of abuse and does not know to which Tribe she belongs. 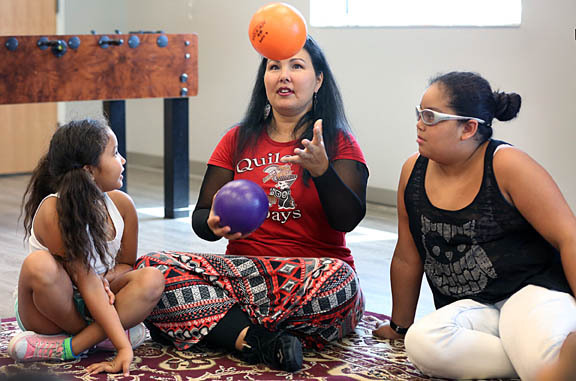 Nayea overcame those obstacles and other subsequent issues to become a multi-award winning singer who shared her inspirational story with children at the Hollywood Boys & Girls Club July 27-28. According to a 1976 report by the Association on American Indian Affairs, 85 percent of Native children removed from their families from 1941 to 1967 were placed in non-Indian homes or institutions, leading to the loss of their Native roots and cultural identities. Nayea said it is commonly referred to as the BIA Baby Ring. Nayea said her dysfunctional home life led to years of substance abuse. She fervently believes music saved her life. Now Nayea uses her past to help shape children’s futures through youth programs she brings to reservations nationwide. 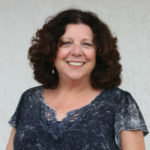 She mentors youth touched by tragedy through her “Healing Through the Arts” camps. The camps help children create music and videos to express themselves. The final videos of indigenous kids speaking out against bullying, drugs and alcohol abuse are posted on YouTube. “This is the most important thing I do,” said Nayea, a 2006 Grammy-winning recording artist for best Native American music album. She also won a Native American Music Award in 2001 for best independent recording and another in 2008 for songwriter of the year. To kick things off in Hollywood, Nayea sat on the floor in a circle with the kids and asked if anyone was related to someone else in the group. All hands shot up. Then she found out every kid’s favorite pizza, video game, M&M color, animal, fast food, movie and sport during a game that involved rolling a ball. She also taught the Indian way to point – with lips, not fingers. Funny faces and giggles filled the circle. Nayea put her music career on hold six years ago to ensure her own son’s success when he started middle school. Since then, Nayea has performed sporadically and spends most of her time introducing youth to the healing properties of music.